Hello fellow R/C aircraft builders, lovers, fliers, or arm chair pilots! Welcome to my(our) online catalog/reference for amazing and interesting R/C Aviation ART!!! Yes, ART! These planes that we build are beautiful and the hours and hours we or our relatives put into them deserve to be appreciated and remembered. Throughout the years of viewing flying or static R/C planes, I have really started to value the beauty and ART side of the hobby and feel that it would be great fun to catalog the wonderful pieces. This is only for the FUN of it and not for any commercial use or promotion. My inspiration you ask?? Well, there are two quick answers to that. 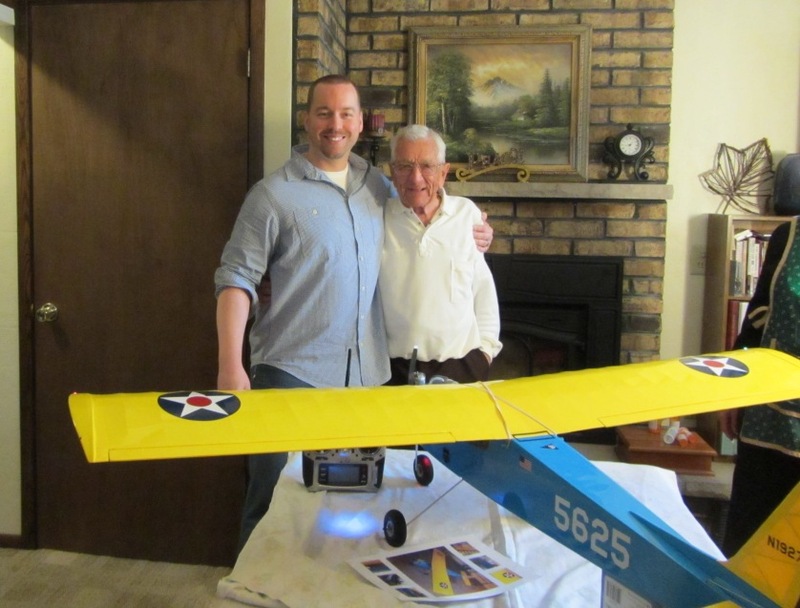 The first answer is that the first R/C Airplane I built was a gift from my grandfather. He had purchased the trainer(ID#01000 in our database) and had not gotten around to finishing it. Due to my asking how it was coming, my interest since childhood in aviation of all types, and a decent aptitude for working with my hands, I think he figured I was a good man for the job of completing it. After a lot of hours, it was done! This in itself was only part of the reason for this reference site. The main reason is that my grandfather has enjoyed aviation all of his life, He flew in WWII and has been my hero all of my life. Although his stories of that time are limited, probably because war is hell, he has inspired a love of aviation, a love of creativity, and most of all a love of Family and God above. I can never thank him enough for the many gifts, tangible and intangible that he has given me. The plane I built, in a small way, was meant to show him that I appreciate him and honor him. Through this online reference/catalog, I would like nothing less than to help others not only show the talents and ART that they have created, but also give an opportunity for relatives and loved ones a place to have their R/C Aviation ARTISTS(family and friends) work appreciated as well. Please Submit Today!! Its easy!! Recently I purchased the Fokker D7(ID#01001) from new friends Linda and Bob.